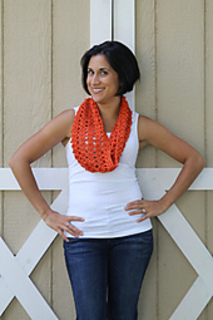 Worked in a simple stitch combination, this cowl is the perfect accent to any summer outfit. 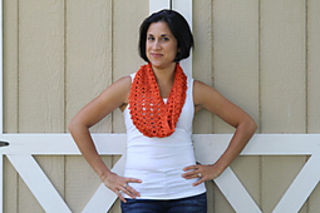 This Tangerine color was picked by Pantone as the color of the year. 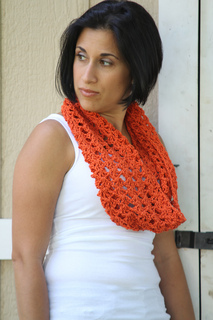 A cowl is a great way to add a little color to your summer wardrobe.